Principles of Production and Use. Zahlreiche Abbildungen. Principles of Production and Use. 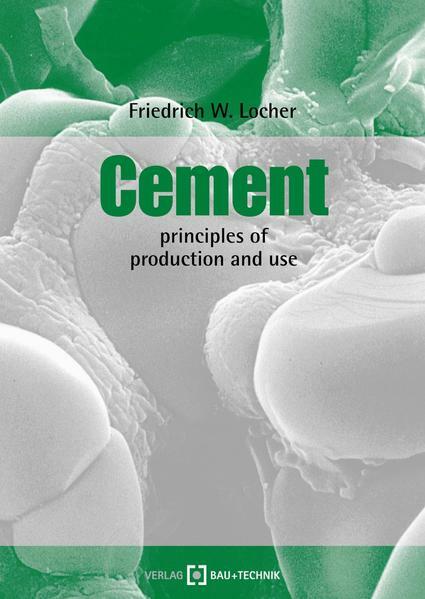 The successful launch of the German standard work on cement by Prof. Locher in 2000 is now being followed by the publication of the widely requested English language version "Cement" which takes special country-specific features and standards into account. The book is aimed at chemists, physicists, engineers and technologists in the cement industry, in machine construction, the construction industry, materials testing and environmental protection. This clear and practical book will provide them with the understanding of the chemistry of cement needed for their daily work. It will also make an ideal textbook for the study of building materials science at colleges and universities.